Look no further! Check out this dazzling 3 year young home with 3 very spacious bedrooms and 2.5 baths. 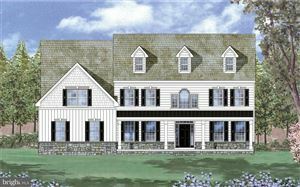 Enter into a long elegant foyer from the front covered porch which begins your journey through this open floor plan. Marvel at the gleaming hardwood floors as you stroll through the 1st floor admiring the living room, dining room, and spectacular updated kitchen. The kitchen flows seamlessly into the family room which houses a stunning gas fireplace. Make your way upstairs and enter into a large loft area with 3 very spacious bedrooms, a full bath, and a laundry room surrounding it. The master bedroom is quite lovely with its tray celing and spa like bath. Don't forget to visit the finished basement with a magnificent bar and loads of room to relax or entertain. And before you leave, take a peek at the beautiful deck off the kitchen which leads to a stunning stone patio. Convenient to all points in Delaware. All this for an unbelievable price. 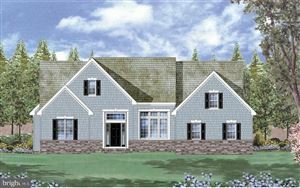 This model is no longer being built so tour today and make this your forever home.